Originally Published in Sandy’s Spotlight — read more here. 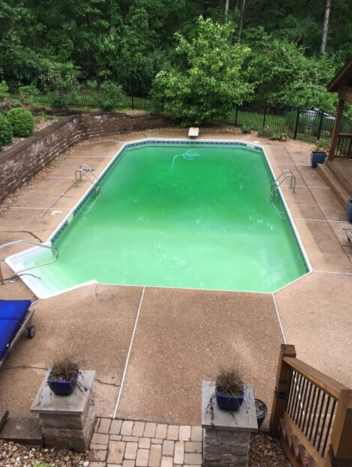 After 19 years of wear and tear, Sandy’s pool deck was ready for a makeover. There were cracks in the surface, and ground settling had left areas uneven. 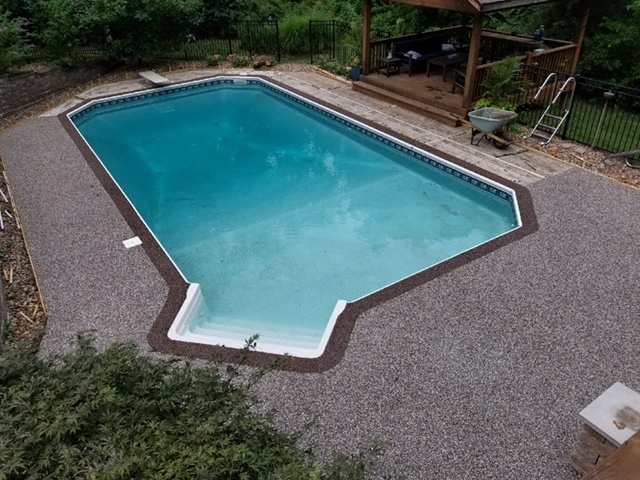 Shawn Wolf’s team at StoneCraft Epoxy Resurfacing gave Sandy’s pool deck the upgrade it needed, and they were able to do it without having to tear out the existing pool deck. This meant a shorter timeline and a lot less mess. It may come as no surprise then that Shawn is know as “The Concrete Doctor.” With nearly 30 years in the industry, his team has crafted a pebble-stone epoxy system made from natural stone bound with epoxy. Shawn calls it the “fix-all” for resurfacing. Each project begins with a free consultation and estimate. Shawn’s team works with their clients to determine the best solution for each individual’s needs. They then schedule the project around what’s most convenient for their clients. They strive to create as little disruption to the client’s schedule as possible. Clients can rest easy knowing their satisfaction is guaranteed and Shawn’s team won’t stop until the client is happy. Sandy says she is so pleased with the results and her family and guests have been very impressed. In addition to looking great, Sandy swears the surface is cooler to the touch. This means you can focus on perfecting your cannon ball form without having to worry about burning your toes on the way. Don’t have a pool deck? Don’t sweat it. StoneCraft Epoxy Resurfacing works on garage floors, patios and sidewalks.